Sell to Us Price: $1,100.13 each. 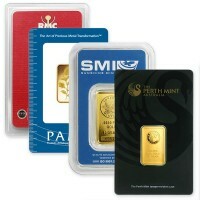 Money Metals Exchange is proud to offer beautiful gold bars from a premier name in gold refining - PAMP Suisse. 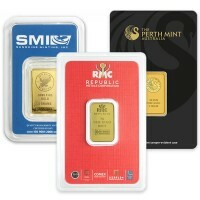 Each handy gold Multigram pack contains 25 of PAMP Suisse gold bars (1 gram). The package is designed to be separated into 25 individual sections, each containing a bar and marked with the PAMP name, serial #, weight and purity. 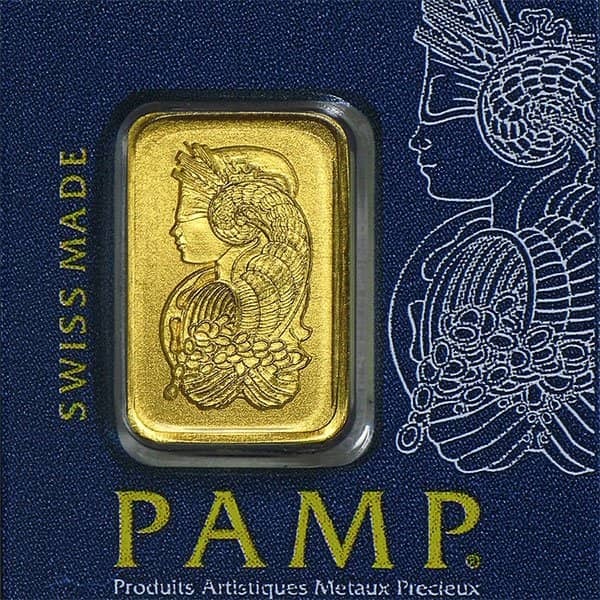 The PAMP Suisse name means trust, recognizability and quality. 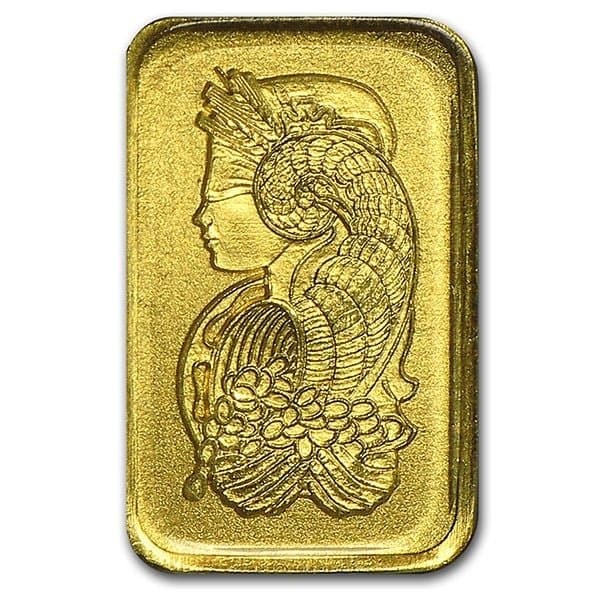 The Lady Fortuna design on the front of each bar is familiar to gold investors around the world. 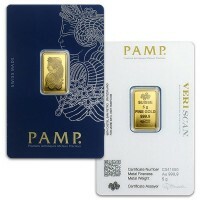 The size of each of the 1 gram PAMP gold bars makes this product ideal for barter or for selling in affordable increments. Simply snap individually marked and packaged each PAMP suisse gold bar along pre-scored lines to separate them from the larger card. PAMP’s exclusive Veriscan® technology uses microscopic topography to identify products in their database. 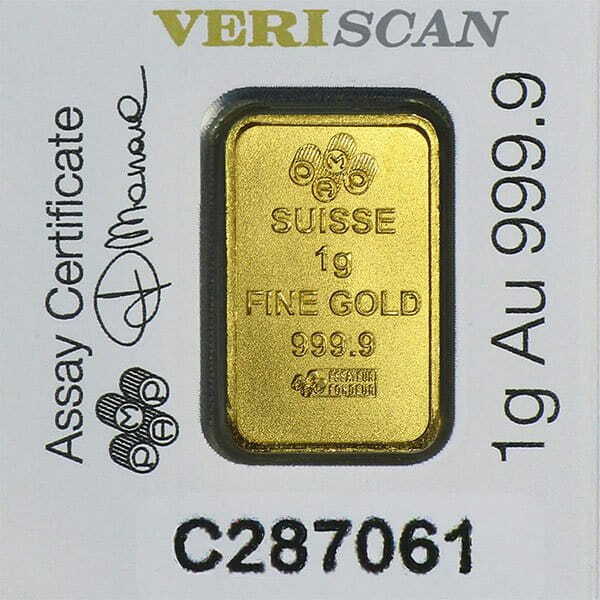 Each bar is scanned when manufactured and can be re-scanned later to verify that the pure gold bullion bar is genuine. 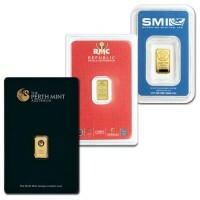 Contains qty 25 each 1-gram gold bar in .9999 fine gold. 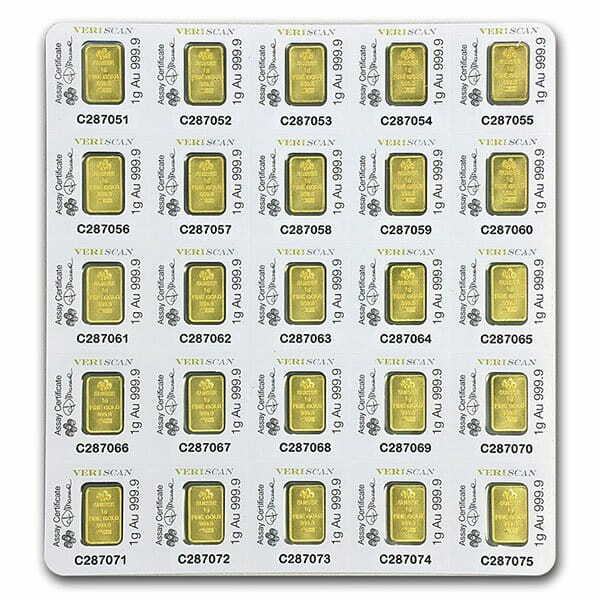 IRA approval – PAMP gram bar are eligible to be held inside precious metals IRAs. The front of each bar features Lady Fortuna, a Roman goddess representing fortune and luck. 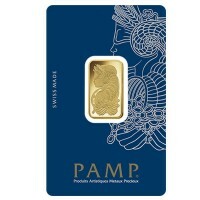 PAMP Suisse gold bars are famous for this design. The goddess is blindfolded with hands outstretched to collect a bounty of riches flowing forth from the cornucopia that sits atop her head. PAMP Suisse is located in Ticino, Switzerland. 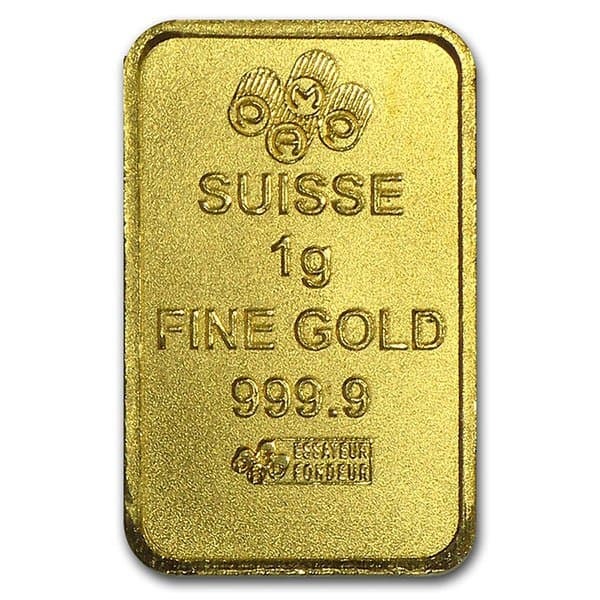 Switzerland is known for it's gold refiners. PAMP Suisse is known above all. 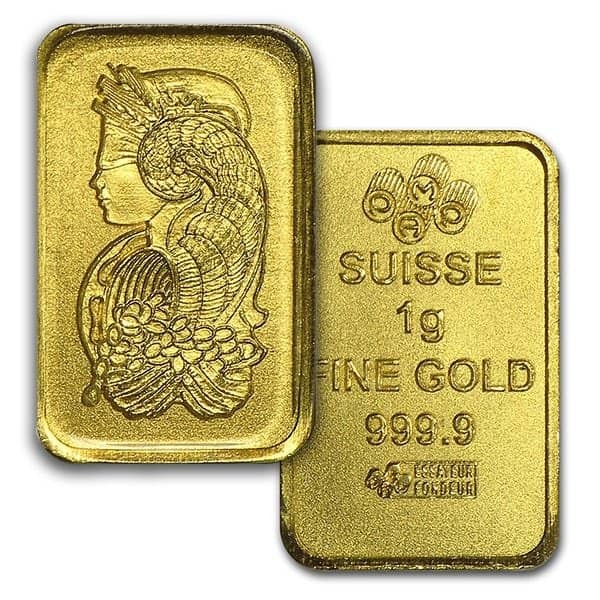 To add a little flare to your holding, consider buying gold bullion PAMP Suisse’s Multigram Portfolio courtesy of Money Metals Exchange. 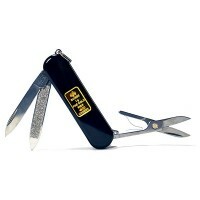 Our current buy pricing is $1,100.13 each and we will buy up to 20 ounces at this price. Simply call us on any weekday to lock pricing at 1-800-800-1865. This is what I was looking for, only trouble is the sheet I received does not appear to be perforated for easy separation. I have been dealing with MMX for sometime and have been very happy with delivery , selection, and quality! First order with MMX, (1st metals purchase on internet ever). Was very satisfied with product and service; although, took a bit longer for check to clear and shipment to arrive than expected, (mid-Dec order, I'm thinking Holiday Rush to blame). Customer service Acct. info on internet helps with knowing status, and easy to track with USPS once shipped. Premium was high (compared to 1oz Eagle ordered same time), but to be expected for 1g bars---that seem perfect for Barter & "Bugout Bag". I just bought 4 of these sheets, they are perfect for gifts to hand out. Each bar comes with it's own ID number. Love them !!! 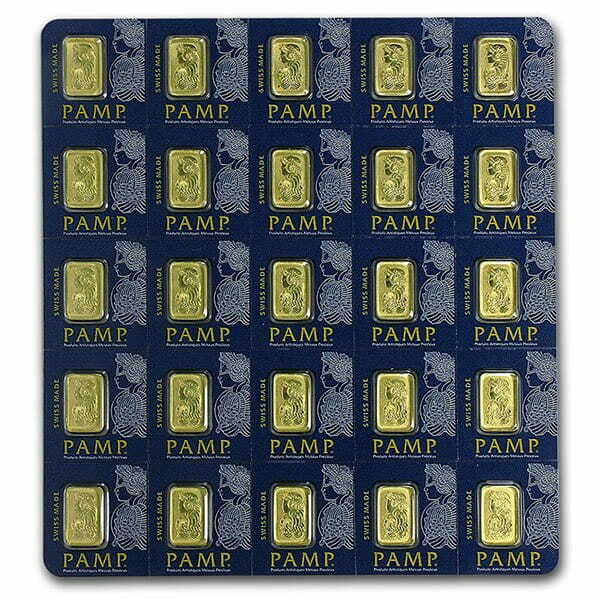 You can now sell your PAMP Multigram+25 Gold Bars - Qty 25 1g Bars back to us online, at a price of $1,100.13 each!